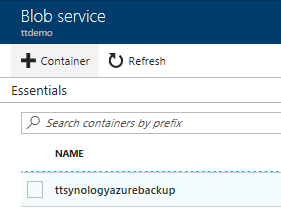 How much will Synology Azure Backup cost? 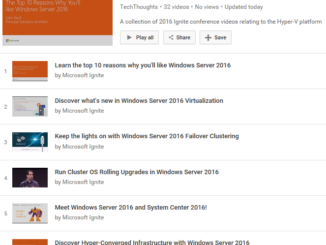 What about the new Azure Archive Storage? 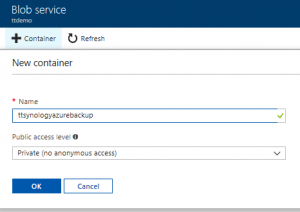 In this post I’ll take you step by step on how to configure your Synology NAS to backup to Microsoft Azure using Hyper Backup with Synology Azure backup. Cloud backups can ensure your data isn’t lost in these scenarios by storing a copy of your data in a different data center, often located in a separate geographic region. 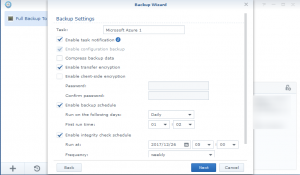 Backing up to the cloud, Azure or otherwise, comes at a price premium over local backups. It’s up to you to determine the value of your data, and the risks associated with potential loss. If you determine that your data is critical – a cloud backup solution can provide a level of data assurance not possible with local only backups. Keep in mind that your Synology NAS device via Hyper Backup will be storing your data in the proprietary Synology backup format. Synology offers the Hyper Backup Explorer which enables you to explore this format and view your files. Keep in mind, this tool doesn’t support browsing an Azure destination at this time. This means that your data will not be “accessible” via your Azure Storage account unless you have a replacement Synology device to “retrieve” the data from Azure should the worse come to pass. Alternatively, you could download the Synology backup from Azure to a computer and use the Hyper Backup Explorer to gain access to the data and then move it to a desired destination. Cloud storage incurs ongoing charges primarily based around storage used. In addition to storage costs there are Operations and data transfer prices to consider which include actions such as write, list, and read. These are typically billed in sets of 10,000 actions and don’t contribute significantly to the yearly total cost. These pricing numbers are constantly changing as competition continues to drive prices down. So, the numbers below may not be 100% accurate depending on when you read this article. The Synology Disk Station manager supports all of these offerings either natively or via package except for Azure Archive. 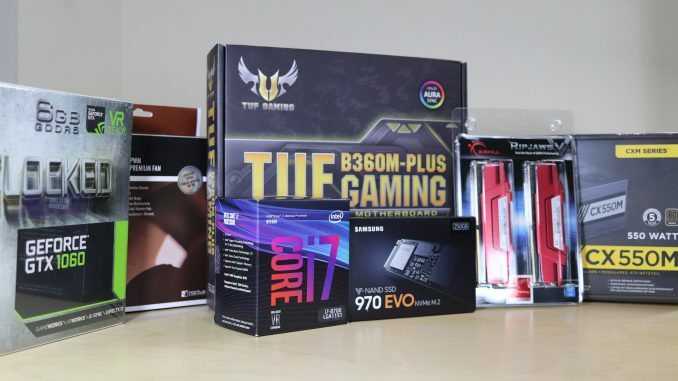 So – which should you choose? It all boils down to what you’re trying to accomplish and your unique requirements. For example, if you are running your Synology in a production environment and your team is already familiar with Azure – it makes sense to go with a Microsoft based solution. Each of these storage tiers provides different capabilities around performance and time to recovery. 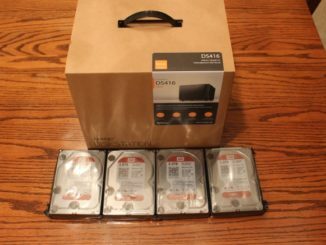 For the most part though, Azure Cool, Azure Archive, and Amazon Glacier are the most appropriate tier choices for the purpose of backing up your NAS. It’s hard to ignore that Azure Archive is by far the most cost effective cloud backup solution here. 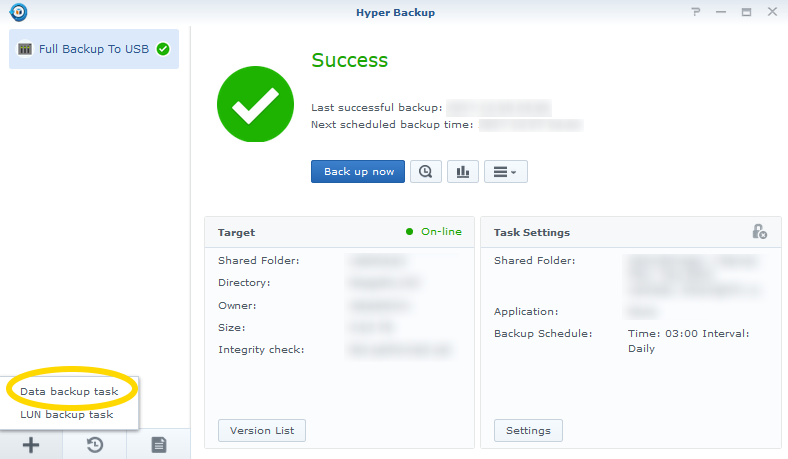 Unfortunately it isn’t natively supported by Synology’s Hyper Backup at this time. You could work around this by first backing up to Azure cool and then changing all your blob tiers to Archive – but this is something you would have to do manually, or via PowerShell. 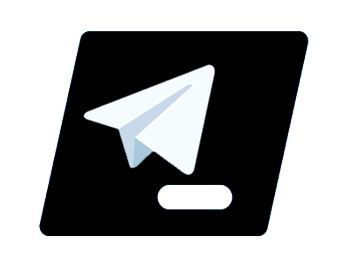 Make sure to leave a comment on that thread so that the Synology Developers see the demand! 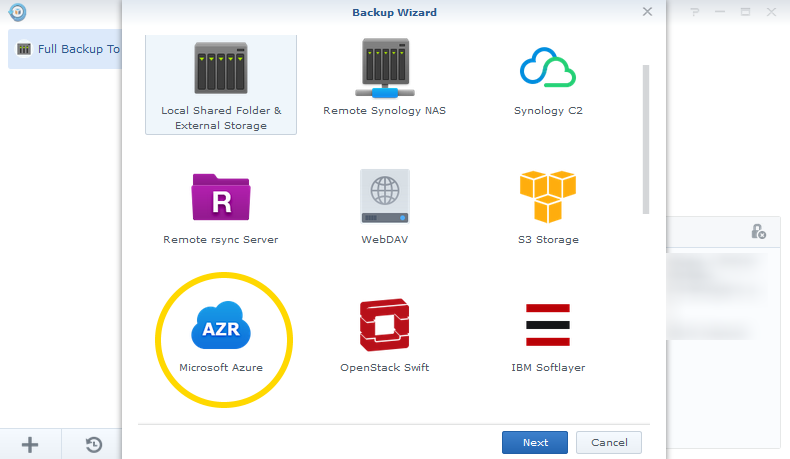 Until we have native Azure Archive ability, Azure Cool is the most appropriate choice if you want to utilize Azure for your Synology cloud backup needs. Your deployment should now show in progress. This can take several minutes to complete. Go back to the storage account overview and on the left select Access keys. Copy key1 or key2 by clicking the copy button. 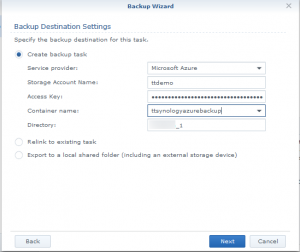 You will need these key to configure your Synology Hyper Backup for an Azure destination. Note: With the Storage Account Name and Access Key provided the Container name should auto populate when you click the drop down arrow. 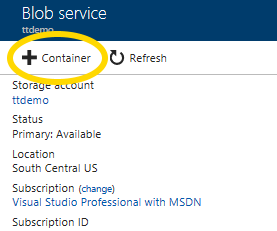 You can use Microsoft Azure Storage Explorer to access the files in the storage account. Within Storage Explorer you can select specific files and folders to download.